Imani was among 4 actresses nominated for Best Female Performance at Shiver International Film Festival, for her role in RADA’s short film A Heart Shaped Stone, which won Best Sci-Fi Film! Imani has graduated from RADA, and is moving back to New York… keep tuned. Imani is playing a wacky spin instructor in the new play Always Right There at the RADA Festival, directed by Samara Gannon. Get your tickets here: Always Right There. Imani is in rehearsals for The House of Bernarda Alba at RADA, playing Poncia, directed by Simona Gonella. Imani played the lead in the RADA short film, A Heart Shaped Stone, directed by Edward Hicks. 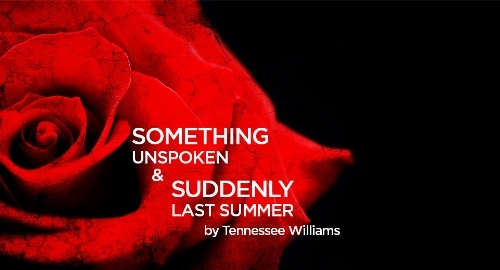 Imani is currently in rehearsals for Suddenly Last Summer, a one-act play by Tennessee Williams, directed by Psyche Stott, at RADA. She is playing Catharine, a girl from 1930s New Orleans who has been locked in a mental asylum since she witnessed the horrific death of her cousin. The play is on from November 23rd to December 2nd in the Jerwood Vanbrugh Theatre. Imani is in her third year of training at RADA, and has just completed her first public show, Stuff Happens by David Hare, directed by Edward Kemp. She played a range of roles, in over 6 different accents, including Kofi Annan, Laura Bush, and the French Foreign Minister Dominique de Villepin. Imani has just completed her first year on the BA Acting course at the Royal Academy of Dramatic Arts in London. Two more years to go! Imani has just started rehearsing for the Hudson Valley Shakespeare Festival's Conservatory Company summer season. She will be performing in a 7 person The Tempest, directed by Jim Calder, The Winter's Tale (her second production of this play this year!! ), directed by Davis McCallum, and The Arabian Nights by Mary Zimmerman, directed by Lileana Blain-Cruz. She is thrilled to be a part of this wonderful company for the first time, and will be performing from June to September! Come join her in the idyllic Hudson Valley and watch three remarkable shows under the spectacular open-air theater tent! More info here. Imani Jade's film Guarded had its first screening on March 16th at NYU Polytechnic's Brooklyn campus (thanks to her uncle, Jan Plass!). There was a great turnout of supporters, and Imani received positive, overwhelming feedback. She is now in the process of sending it out to both national and international film festivals, of all sizes, to see the response it will have out in the world! Stay tuned and click here to see beautiful photos from the shoot itself, taken by my incredibly talented aunt Allison Plass. Imani Jade is in rehearsals for The Pearl Theatre Company's production of The Winter's Tale, directed by Michael Sexton. She is thrilled to be playing with such a wonderful company of artists, and especially alongside James Udom. James can also be seen in the short film Guarded, which is currently in edits, with a screening scheduled for March 16th. Please come support this important company, and this magical play!! Previews start February 10th, and it runs until March 15th! Get your tickets here. Imani Jade wrapped her first project as director/screenwriter/producer in the short film Guarded, in which she played the character of Sarah! This is a beautiful photo taken by Amalia Guegan from the set! Stay tuned for more info as we finish edits this month, submit to film festivals, and prepare for our first screening, which will take place in NYC on March 16th!! Imani Jade just shot an episode of My Crazy Love, which premieres on Oxygen on December 2nd, 2014 at 10p/9p central. Tune in to see her playing a mean goth girl!! Imani Jade and The Powers Productions' directorial debut, Guarded, have reached and surpassed their goal on their Kickstarter campaign!!! Click here to check out the project that Imani Jade wrote, and will be directing, producing, and acting in this winter. The Fairy Queen goes up next Friday at the East 13th Street Theater. Check out Imani Jade's Titania/Hippolyta and buy your tickets here. Imani Jade has just started rehearsals for Dell'Arte Opera Ensemble's production of The Fairy Queen, a libretto by Henry Purcell using text from Shakespeare's A Midsummer Night's Dream. She will be playing the parts of Titania (the fairy queen!) and Hippolyta. Stay tuned for more info!! The show goes up in August. Imani just finished playing the part of Jessica in The Shakespeare Forum's production of The Merchant of Venice that went up at The Gym at Judson Theater.